Award winning composer Alex Pozniak (b. 1982) completed his Masters in Musical Composition at the Sydney Conservatorium of Music, with the assistance of a UPA scholarship and under the guidance of Matthew Hindson. Working with composers Anne Boyd, Nicholas Routley and Ian Shanahan during his undergraduate years at the University of Sydney (beginning in 2000), Alex went on to obtain First Class Honours and the University Medal in 2005. Alex completed a BA alongside his music studies in which he studied philosophy, psychology, art history and theory, while majoring in English literature. He has had works performed by the Ku-ring-gai Philharmonic Orchestra, the Bourbaki Ensemble, the Sydney Symphony Fellows, the Tasmanian Symphony Orchestra, Kammer, The Song Company, the Arditti Quartet, the Melbourne Symphony Orchestra and has attended two AYO National Music Camp composition programs, working with Graeme Koehne and Joby Talbot. In 2009 Alex was named composer-in-residence for the 2009 Verge Arts Festival at the University of Sydney during which he staged his first composer portrait concert, INFOCUS, presented by chronology arts, featuring eight works of both chamber and electronic music drawn from 2005-09. In 2010 Alex had three works performed in the ISCM World New Music Days in Sydney as well as performances at the Brisbane Encounters Festival, Beijing Modern Music Festival, Adelaide Soundstream Festival, Melbourne International Brass Festival and Sydney Fringe Festival. Alex was the winner of the prestigious 2011 APRA Professional Development Award in the Classical category with which he will travel to the United States and Europe in 2012 to pursue studies in composition, including workshops in Boston, Italy, Darmstadt and Latvia. 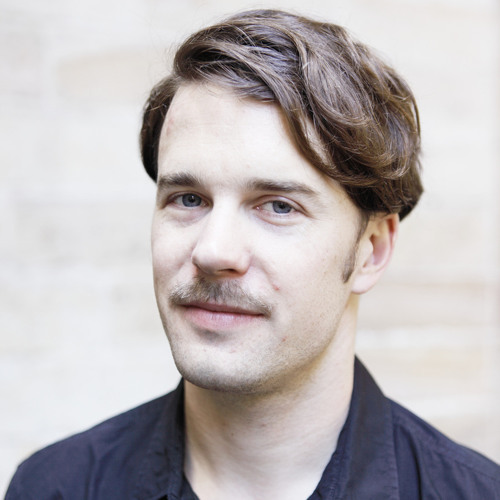 Alex is Artistic Director of Sydney-based Chronology Arts which he co-founded with Andrew Batt-Rawden in 2007 in order to produce concerts featuring new works by emerging Australian composers. Chronology Arts which was voted one of the top 100 Creative Catalysts in 2009 in the Creative Sydney arm of the inaugural Vivid Sydney Festival. Alex is a passionate educator, lecturing in composition at the University of Sydney’s Music Department and The Sydney Conservatorium of Music, teaching composition at the Conservatorium High School, The Scots College, St Ignatius Riverview and The McDonald College as well as guest lecturing for pre-concert talks. As an advocate for Sydney’s new music scene, he is a committee member of the New Music Network and the Aurora Festival’s Artistic Committee.